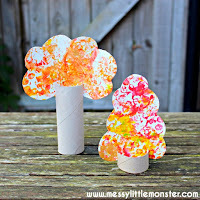 Celebrate the beginning of Autumn with a fun autumn craft for kids. 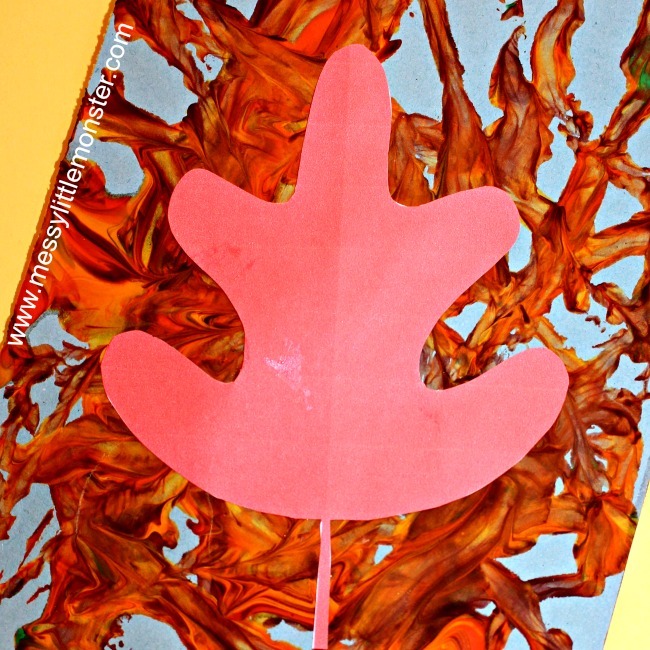 This acorn leaf art is a fun and easy painting idea for toddlers and preschoolers. Begin by collecting and then painting with acorns and then use our printable leaf template to turn your acorn process art into some leaf art or a leaf garland. 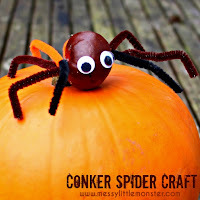 Looking for more Autumn activities? 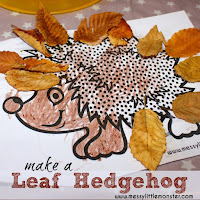 Take a look at our leaf puppets, bird feeders and our woodland colouring pages. Before beginning this acorn leaf art activity we read the story 'Scaredy Squirrel' by Melanie Watt. We then went outside to look for some oak trees and made a collection of acorns. Scaredy Squirrel is this weeks book for the virtual book club. 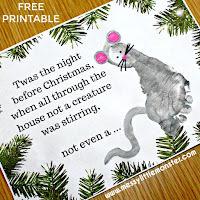 To see a video of the story and for more fun acorn and squirrel ideas scroll down to the bottom of this activity. We also have a squirrel colouring page as part of our woodland colouring collection that you might like to print out and colour. 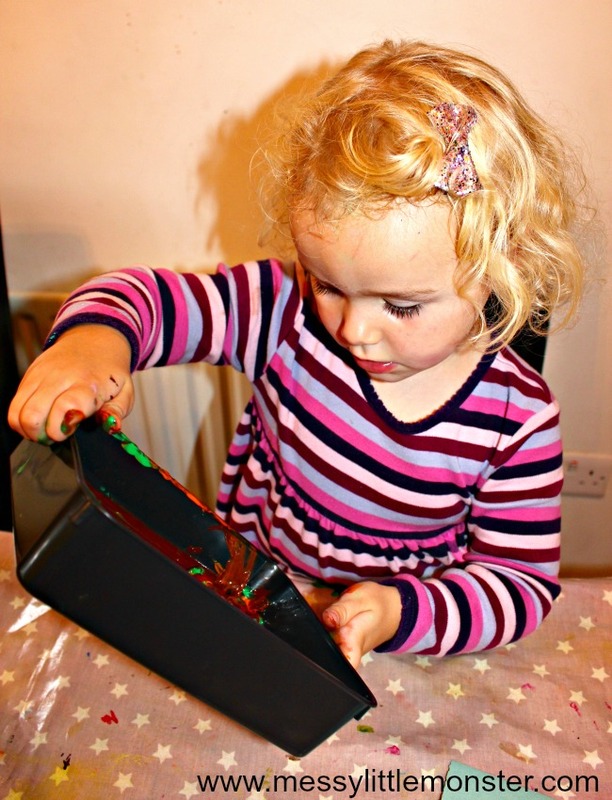 Put a piece of sugar paper into a tray and squirt paint onto the paper. Then add a few acorns. 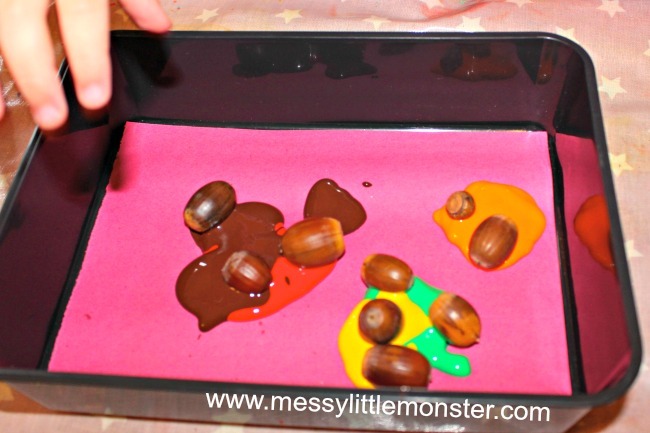 Roll the acorns around the tray by tipping it from side to side. 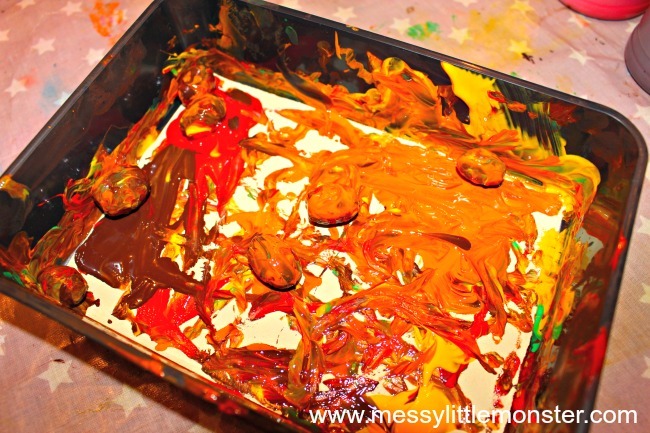 Tip the tray in all directions to encourage the acorns to roll through the paint. As the acorns roll through the paint the colours will mix together and different patterns will be created. 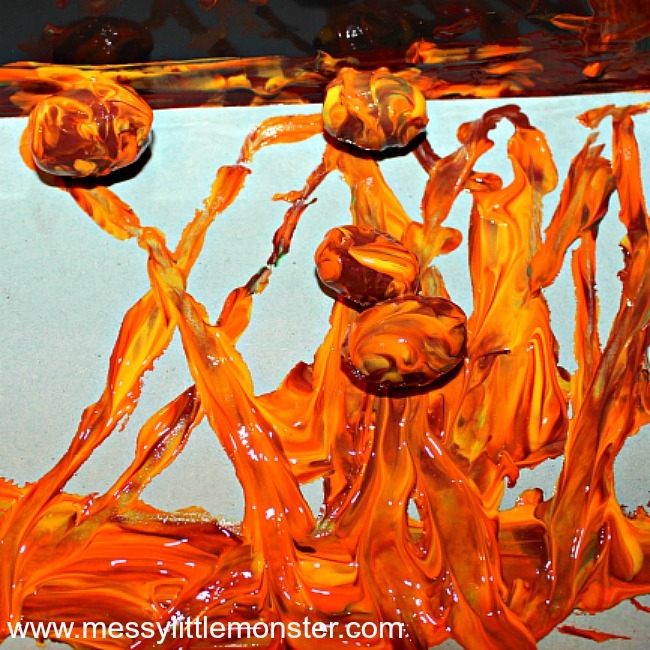 We chose to use Autumn coloured paints. 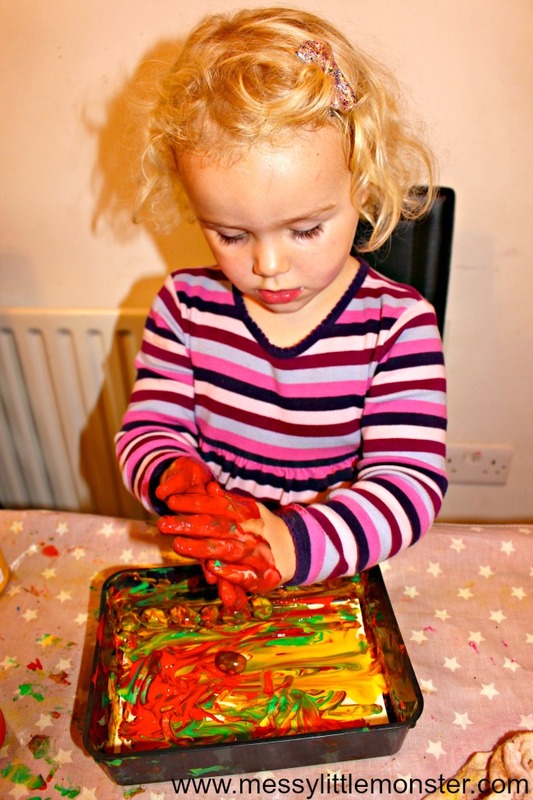 Daisy (aged 3) couldn't resist putting her hands into the paint and squeeezing it between her fingers. We cut out some oak leaf shapes to add to our paintings. 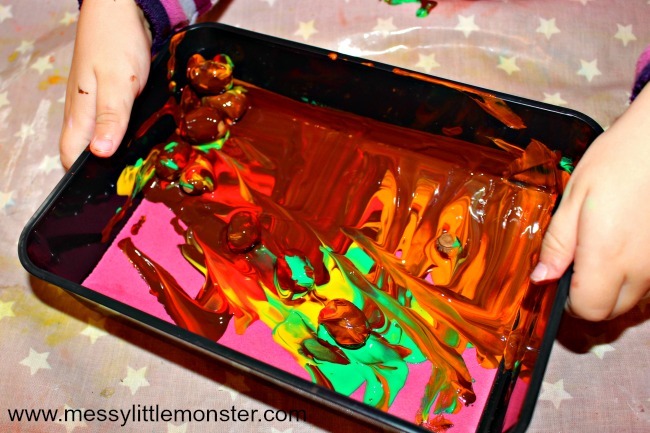 We had lots of fun with this process art activity and the resulting artwork was really effective. 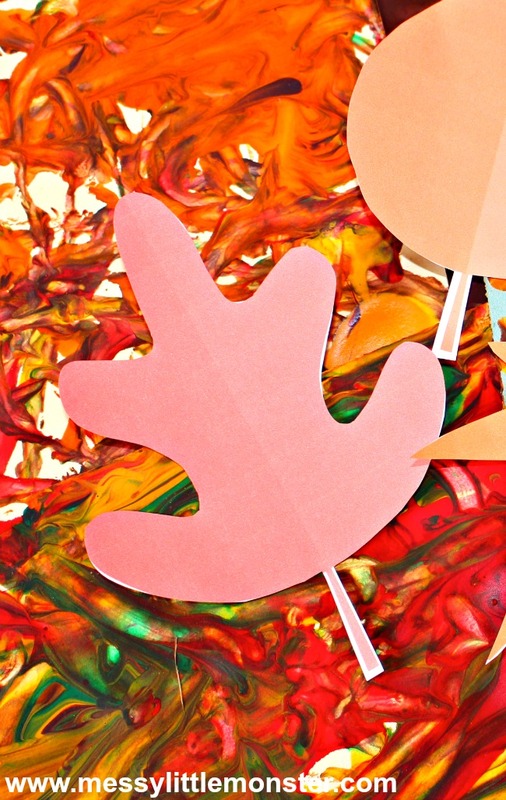 We also made an Autumn leaf garland from our artwork. 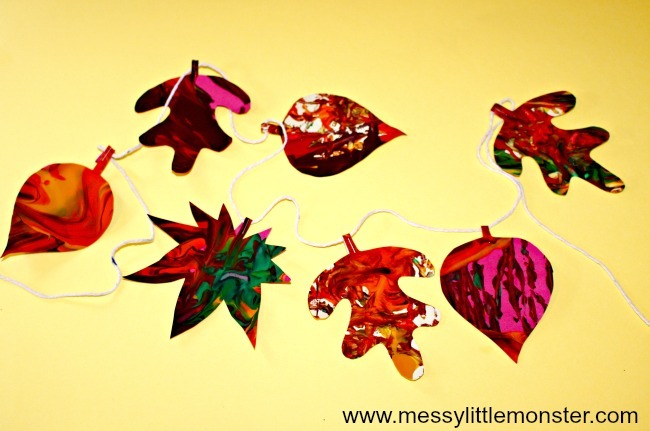 We stapled the beautiful autumn coloured leaves to a piece of string. 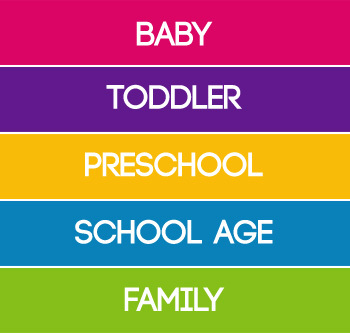 Here is the leaf template we used. 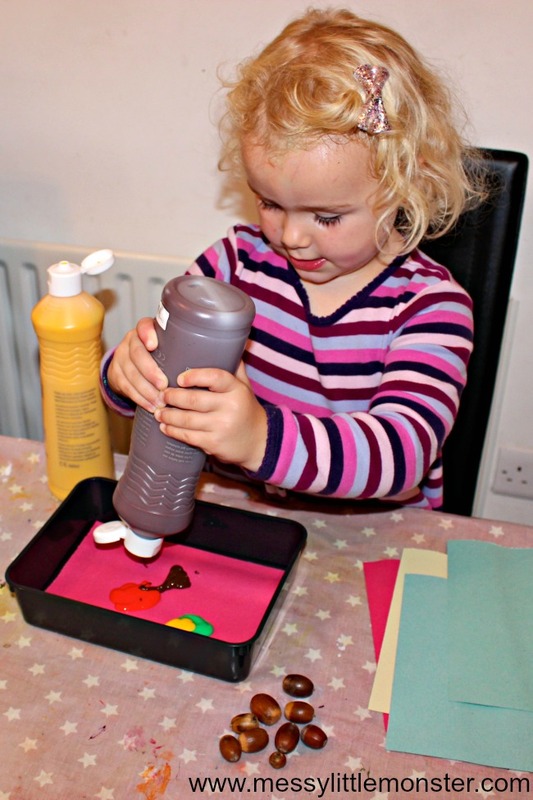 This activity goes brilliantly with this weeks book for the virtual book club, 'Scaredy Squirrel. 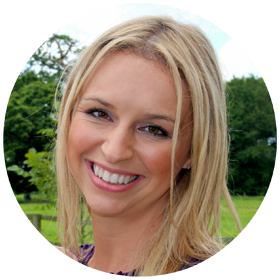 For more fun squirrel and acorn activities click on the links below or join the virtual book club facebook page. 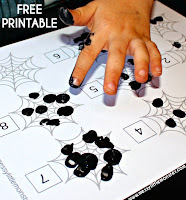 We hope that you have fun doing this autumn craft for kids (with free leaf printable)! 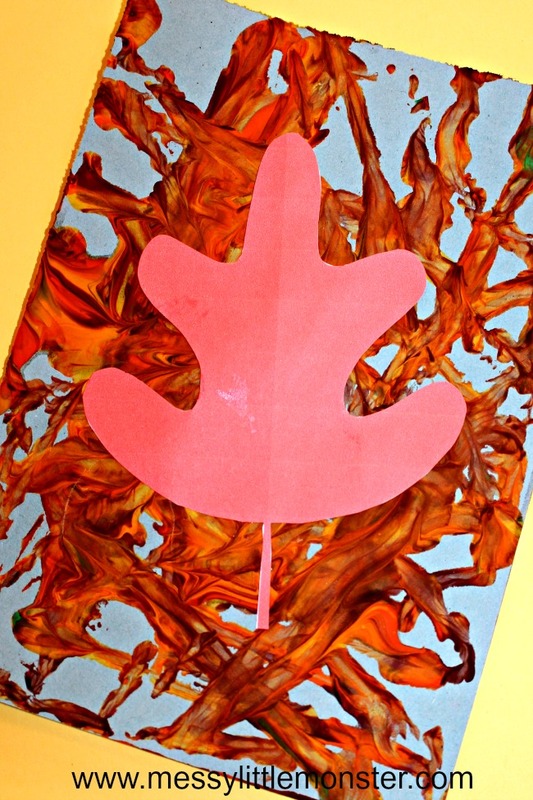 We loved the painting process that was used to make this acorn leaf art. 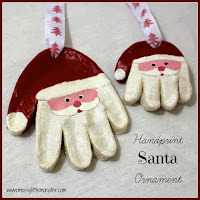 I love this nature twist on marble painting!